This page shows the latest ADA 2014 news and features for those working in and with pharma, biotech and healthcare. 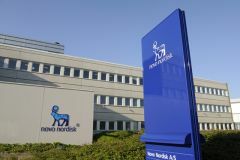 As with Novo and Tresiba, Sanofi is also banking on its new product's ability to reduce side effects, with the company also presenting data at the ADA conference demonstrating Toujeo ... 19th June 2014. Pascale Witz unveils company's ambitions at ADA conference. Sanofi used the American Diabetes Association event last weekend to announce an overhaul of its approach to diabetes care. ... 18th June 2014.
plans to file a combination of two of its major treatments by the end of 2014. ... 16th June 2014. Approximately 6 fully matching, plus 1 partially matching documents found.